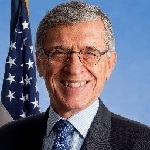 Wheeler acknowledged that once he steps down, the FCC will be led by Republican commissioners Ajit Pai and Michael O’Rielly, with one Democratic commissioner, Mignon Clyburn. The Republicans have said that they’ll work to overturn the net neutrality ruling using their leadership power. They’re also supported by members of the Trump transition team. “All the press reports seem to indicate that the new commission will choose an ideologically based course,” said Wheeler at the Aspen Institute. Wheeler argued that net neutrality hasn’t harmed Internet Service Providers’ businesses because AT&T’s CEO told President-elect Donald Trump that the company had been the country’s leading investor in capital for the last five years, regardless of policy changes made by net neutrality. AT&T said that in fiscal year 2016, it would deploy 250 percent of the capacity that it did in fiscal year 2014 at 75 percent of the cost. Therefore, AT&T’s business had the ability to grow under the net neutrality rules, despite what the Republican commissioners predicted. Wheeler said that if the FCC or Congress were to draft a new policy under the guise of new net neutrality rules, it would have to comprehensively protect against the power of broadband providers, protect consumers and competition, and provide a consistent standard for all companies involved. “Passing legislation or adopting regulations without these key provisions and calling it net neutrality would be false advertising,” Wheeler said. Wheeler said that the growth in automated vehicles, connected devices, and cloud computing was able to occur because of the assumption that the Internet would be fair and open. Wheeler said that if AT&T and Verizon could favor their own Web services by zero-rating their product and forcing customers to pay data charges for competitors, then the cloud companies will find a way to harness a similar strategy. “Whether it’s Amazon Web Services, or Microsoft’s Azure, or Salesforce.com’s integrated cloud-based activities, ISPs free from open access obligations and behavioral oversight can choke growth and innovation, or, at the least, demand tribute for passing over their network,” Wheeler said.